By all accounts, the farmer feels really, really bad about this. Shrubby tororaro with a friend. Shrubby tororaro – Muehlenbeckia astonii – is one of New Zealand’s rarest endangered species, which is saying a lot for an island nation that has dozens of amazing native plants and animals that exist nowhere else. It’s now much rarer, because a farmer accidentally killed about a third of the entire wild population. Reports indicate that he feels really, really bad about it. There are, or were, an estimated 3,700 wild shrubby tororaro plants left in New Zealand, with the vast majority in an area called Kaitorete Spit, a low-lying barrier on the country’s South Island. Much of that land is privately owned and not subject to government preservation. Earlier this year, one of the island’s larger farms was purchased by a new owner, who treated the land with herbicides before planting a winter crop of oats. (Southern hemisphere winter, of course.) The new owner was not aware that his land was home to about 1,000 of the rare shrub, which were also torn out. 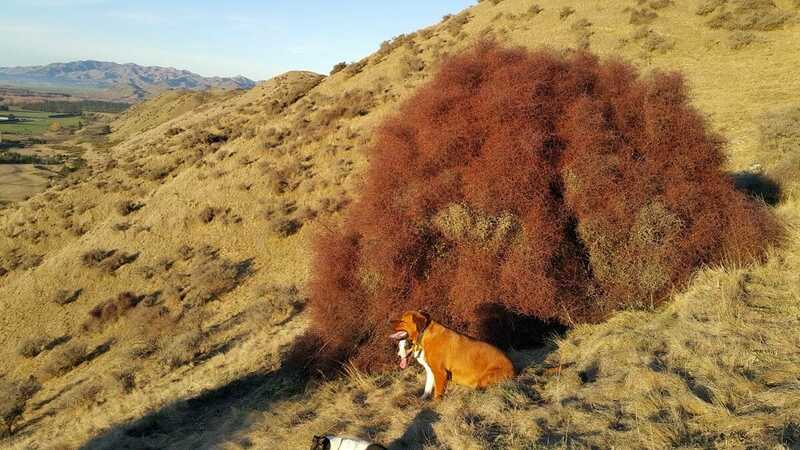 Radio New Zealand spoke to experts who say it won’t be possible to replant the shrubs elsewhere, but are seeking ways to protect the land or possibly turn it into a preserve. Those environmentalists accept that the farmer in question was unaware of the shrub’s significance and that he was “horrified” upon being told.